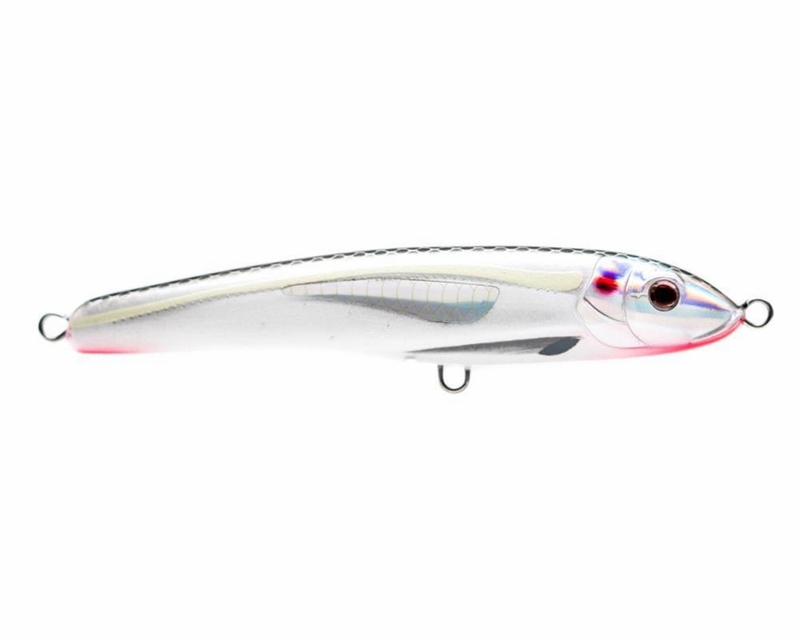 The Nomad Design Riptide has the perfect slender bodied profile to imitate pilchards, mullet, sardines, and dozens of other baitfish species. From far offshore to lagoons and freshwater environments, the classic side to side "walk the dog" action of the Riptide is highly effective for just about any predatory species. 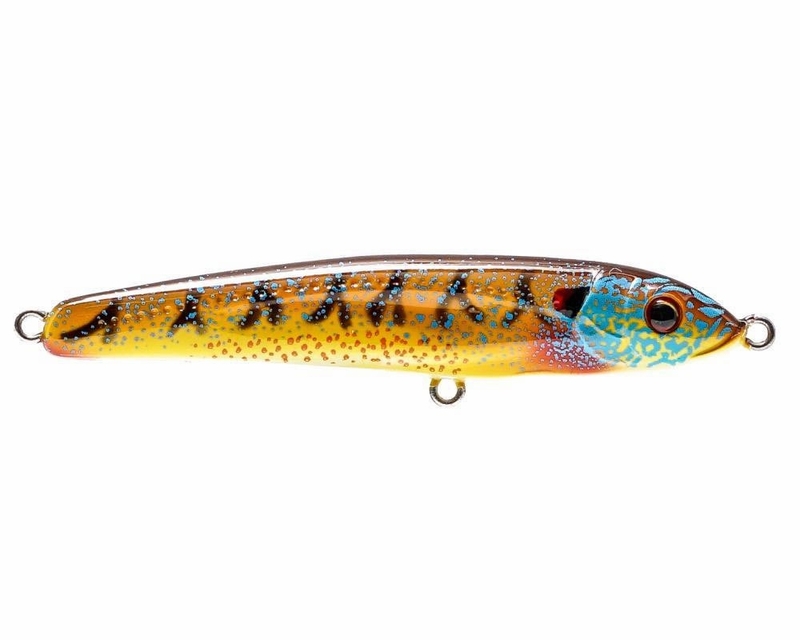 The Riptide family of stickbaits features nearly every size and application of floating, sinking, and fast sinking lures, each being uniquely weighted and balanced to provide superior casting and action. 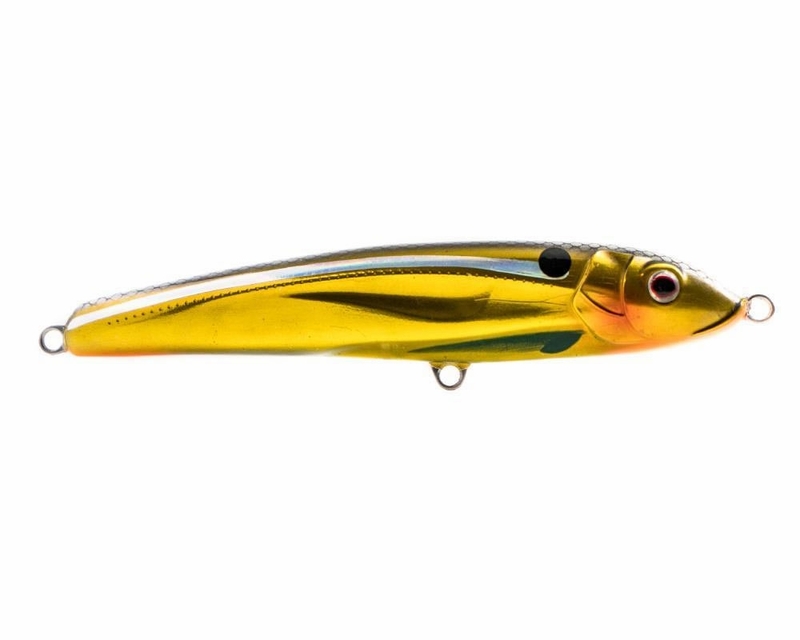 The HD ABS plastic body is constructed around Nomad Design's Gorilla Through Wire system, making the lure highly durable. All sizes except for the 265mm are fitted with super strong split rings and BKK inline single or treble hooks, allowing the Riptide to be fished straight out of the box with confidence. 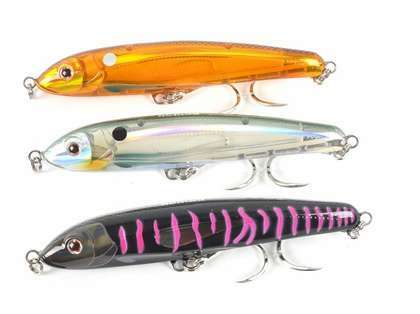 Have not tried this lure yet. Will update when I do. 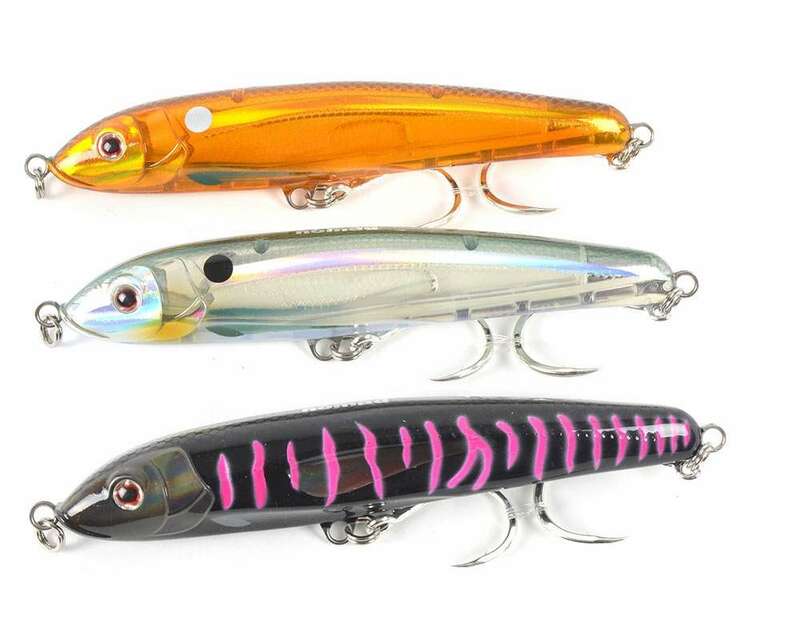 ProsVery large lure, colors are vibrant, had good luck with other Nomad products. I use to think the 125mm size was too small but it's a great bite size for fish. I've been successful and confident with this color. 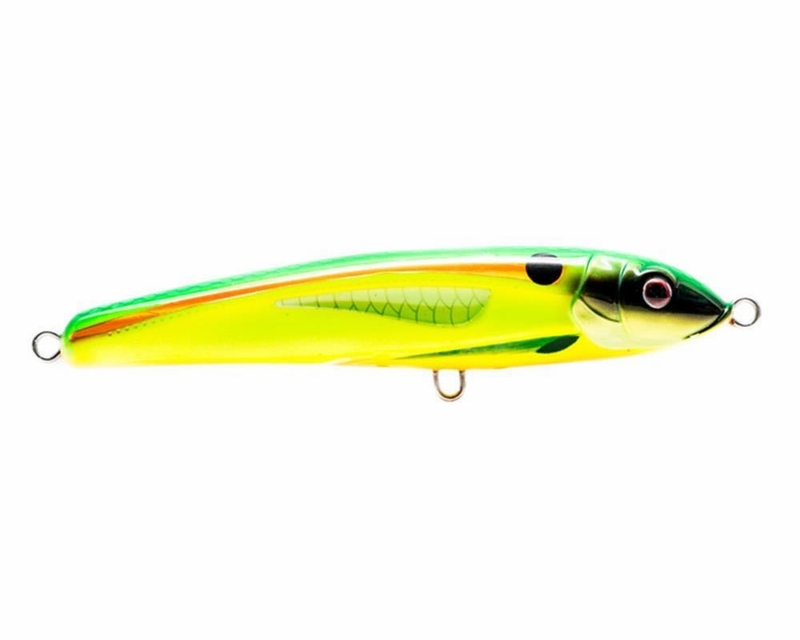 Had great success with this lure/color on the Dorado in Panama. Cons- colors scratch off easily. 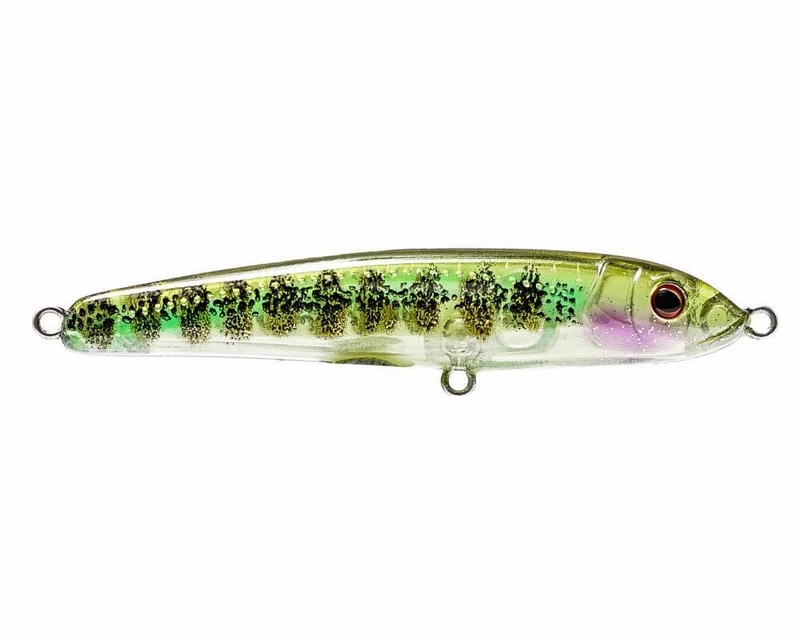 This stick bait is a killer! Mahi and tuna can�€™t resist it. Same with striped bass. 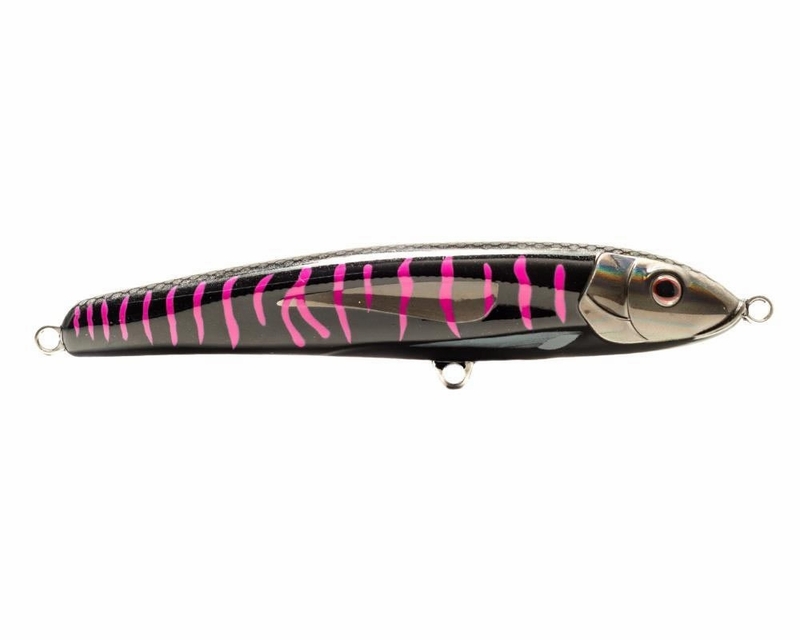 I recently ordered some of these Nomad Riptide lures, and am now wondering if you ever stock any in the "Purple Fusilier" color version. Any information is appreciated. The Fusilier are about a month out, if you have any questions pertaining to your order please contact us.